If you had to name the primary commandment Jesus gave us, what would you say it is? We can discover it from His final night with His disciples, before going to the cross. He only had a few hours left with them, so He concentrated all that He’d taught them. As Christ summed up everything, He boiled it all down to one word: love. When we talk about love in the church—in fact, when we read this verse—our minds go in gentle directions. We think of kindness, generosity, being good to others. The New Testament says a lot about this kind of love. It uses the phrase “one another” about fifty times, with commands to treat each other with patience, encouragement, kindness, etc. Eph 4:15-16 Rather, speaking the truth in love, we are to grow up in every way into him who is the head, into Christ, from whom the whole body, joined and held together by every joint with which it is equipped, when each part is working properly, makes the body grow so that it builds itself up in love. The disciples would have no problem with this command. They probably thought they were already pretty good at it. They had just spent three years together in full-time ministry with their Master, learning how to do what He taught them, and learning how to be kind and patient towards one another. Now that’s a serious kind of love. Look around this sanctuary. Would you lay down your life for everyone in here? That is what Jesus is commanding us. Would you give your life for the believers in Christ in another church or another country? I picture the disciples looking at each other wondering, “Would I die for this guy next to me? Sometimes he really irritates me.” Maybe they didn’t love each other as well as they thought they did. Maybe we don’t love each other as well as Jesus commands either. My point is that when Jesus commands us to love as He loves, it’s no light thing. We need to wake up to this fact, because days of persecution are forthcoming and we will need this kind of love. Without it, we will turn on each other to save our own life. This love isn’t some romanticized idea based on feelings or ideals. What Jesus commands of us is God’s love—powerful, unconditional, sacrificial love. Jesus was about to demonstrate for His followers the most powerful act of love anyone could ever do by going to the cross for our sins. He would show how this love applies even to our enemies—because He gave His life for them, too. He said, “Love your enemies.” Would you give your life for your enemy? This commandment is an entirely new way of living and loving. Jesus tossed out the old way of religion and gave birth to a new way. Love is no longer contained in the realm of the sentimental. It is now placed in the realm of the impossible. 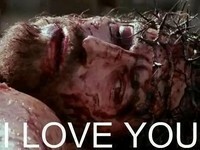 I can picture the disciples thinking, “Jesus, we don’t have love like yours. Ours isn’t the unconditional kind. We’re not perfect. Our love is bound to fail.” But Jesus doesn’t accept excuses. Neither does He give a command without providing the grace to obey it. He knew our own efforts to love as He loves weren’t going to cut it. So He showed us how this kind of love happens: only through the Father’s grace and the power of the Holy Spirit. Eph 3:14-19 For this reason I bow my knees before the Father, from whom every family in heaven and on earth is named, that according to the riches of his glory he may grant you to be strengthened with power through his Spirit in your inner being, so that Christ may dwell in your hearts through faith—that you, being rooted and grounded in love, may have strength to comprehend with all the saints what is the breadth and length and height and depth, and to know the love of Christ that surpasses knowledge, that you may be filled with all the fullness of God. If we ask the Father in the Jesus’ name for that kind of love, He will give it to us because that is His desire. 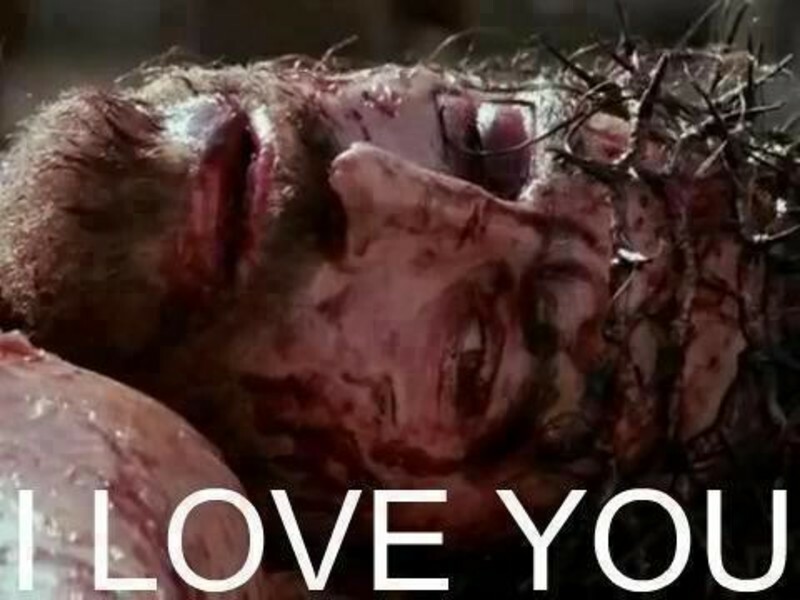 Yet God’s love comes in only one way: through the crucified life. God’s love doesn’t happen through our flesh. Our idea of love is limited, selfish, and conditional, and it has to die in us! Death to self—to our rights and desires—to bless someone else is impossible without God’s grace. This is our high calling as disciples of Christ—as Christians. Jesus wants us to produce the fruit of the Holy Spirit. If we are to obey Jesus’ commandment to love one another as He loves us, we must be filled with the Holy Spirit and live the crucified, Spirit-filled life. Therefore, we are to ask the Father, in Jesus’ name, to provide the grace and power to fulfill Jesus’ command to love like He loves. Apart from the Holy Spirit, we can’t do anything. What does it look like to carry out the kind of love Jesus describes? Let’s contrast it with what we too often encounter in church. 2 Corinthians 12:20 I fear that perhaps when I come I may find you not as I wish, and that you may find me not as you wish—that perhaps there may be quarreling, jealousy, anger, hostility, slander, gossip, conceit, and disorder. Every one of the things Paul lists here is a relational sin. They have to do with failing to love as Christ loved. In these terms, it’s easy to see how love can’t just be a sentimental gesture or a few nice words. It is a battle to be fought, and the weapons we bring are humility, forgiveness, and mercy. 1 Corinthians 13:1-3 If I speak in the tongues of men and of angels, but have not love, I am a noisy gong or a clanging cymbal. And if I have prophetic powers, and understand all mysteries and all knowledge, and if I have all faith, so as to remove mountains, but have not love, I am nothing. If I give away all I have, and if I deliver up my body to be burned, but have not love, I gain nothing. Note the operative word here: “nothing.” That’s what the Corinthian church’s gifts were worth, because they did not have love. Therefore, they could never accomplish God’s purposes until they repented and began to love one another as Christ loves us. Christ’s love—the lay-down-your-life-on-a-cross kind of love—is a tall order, one that’s impossible except through the Holy Spirit. Most of us know 1 Corinthians 13 as the “love chapter.” Even non-Christians are familiar with it because it is read at so many weddings. In truth, this chapter is a counterpoint to all of the carnal sins Paul listed in 2 Corinthians 12: quarreling, jealousy, anger, hostility, slander, gossip, conceit, and disorder. Now, let’s seriously apply the Word of God. Which list do you see practiced more in our church? Make it personal—in your marriage? In your own life? When someone insults you, do you always have to answer back? Do you find yourself dreaming up retorts for the next time? When someone else is chosen to do something you want to do, are you put out about it? Do you hope that person fails? How do you react when someone sins against you? Some Christians think peacemaking means avoiding conflict. But avoiding conflict without God’s love leads to further division, strife, and disorder. When was the last time you avoided a necessary confrontation with someone? Did you end up passive aggressive toward that person and withhold kindness? Did your e-mails or Facebook posts about them get snarky? Did you start gossiping about them? There’s nothing Spirit-led about avoiding conflict, per se. In fact, Jesus commands us to do the opposite. He even gives us specific instructions on what to do when someone sins against us. Jesus’ instruction here is packed with wisdom and love. Confronting a person in private preserves their dignity in the face of their sin. It also allows truth to shine its light on the situation. Matthew 18:16 If he does not listen, take one or two others along with you, that every charge may be established by the evidence of two or three witnesses. Aha! This last verse sounds like we can finally reject him. But that isn’t accurate. This action is meant to treat him like an unbeliever instead of a brother in Christ so that he might repent and be restored to fellowship again. We expect unbelievers to sin against us and we share the Gospel of Jesus Christ with them, but we don’t allow them the same privileges of fellowship in the Body of Christ. We don’t condone their sin, but we love them enough to be involved in their life, to pray for them, and to continue sharing the truth with love, gentleness, and kindness. That is what this final step involves. This sequence of actions shows us something else. It teaches us the lengths to which God extends His mercy—and the cost to us as agents of that mercy. God’s heart is always to bring the lost sheep back into the fold. How far does this mercy extend? As Jesus told Peter, we’re to forgive our sinning brother “70 times 7”—meaning as many times as it takes. Once again, this requires a lay-down-your-life-on-the-cross kind of love. It doesn’t mean what they did is OK. It doesn’t mean we trust them. It’s a love that says, “You hurt me, but I’m still here for you. I’m not going to seek revenge or reject you.” This kind of love requires a Spirit-filled life because our flesh simply isn’t capable of it. That is why many of us don’t even try to obey the commandment of Jesus. It seems like too much trouble. It doesn’t seem just or fair. But as Jesus and Paul both point out, refusing to love at even in the most minor things can have huge consequences, leading to grief, alienation, and regret. Strife in a relationship usually ends up affecting a larger circle of friends, family, or an entire church and community. To love as Jesus loves, even in what seems like a small matter, isn’t a choice—it’s a spiritual discipline—it is the commandment of Jesus. If the Holy Spirit is convicting you about your lack of love, your failure to keep the commandment of Jesus, I have good news for you: God loves you and wants to change you and your relationships. Your marriage doesn’t have to endlessly replay a constant loop of bitterness. The tension between you and a friend doesn’t have to stay frozen. By the grace of God, we can love as Jesus loves us. Here is what our character will be when we are filled with the Holy Spirit. Galatians 5:22-23 The fruit of the Spirit is love, joy, peace, patience, kindness, goodness, faithfulness, gentleness, and self- control; against such things there is no law. This glorious picture becomes possible in one way, as we continue to read: Galatians 5:24-25 Those who belong to Christ Jesus have crucified the flesh with its passions and desires. If we live by the Spirit, let us also keep in step with the Spirit. Ask your heavenly Father daily to give you grace to forgive, to crucify your flesh, and to fill you with the Holy Spirit. Then give Jesus your obedience in every relationship. As you die to yourself, God will answer your prayer and you will walk and talk with the love of Jesus that only a Spirit-filled life produces. However, it is impossible for you to be filled with the Holy Spirit unless Jesus is your Lord and Savior. You can make Jesus your Lord and Savior by confessing Him as the Son of God who atoned for your sin on the cross. You can begin the crucifixion of your flesh by dying to self in water baptism. Then you will be born again of the Holy Spirit, who will empower you to fulfill Jesus’ command to love one another as He love us.